Home automation is one the rise. More and more homes are becoming “smart” – appliances respond to your voice commands, and you can control a whole host of things with only your smartphone. One day, it will be as if you’ve walked into Beast’s castle –all the things will work by themselves, turn on and shut off as if they have a mind of their own. And we’re getting closer and closer to that point. Nowadays, you can pick up your phone at work, enter an app, and, by the time you get home, the oven will be preheated and ready for you to start cooking. Let’s face it, guys, the future is now, and we need to embrace it. 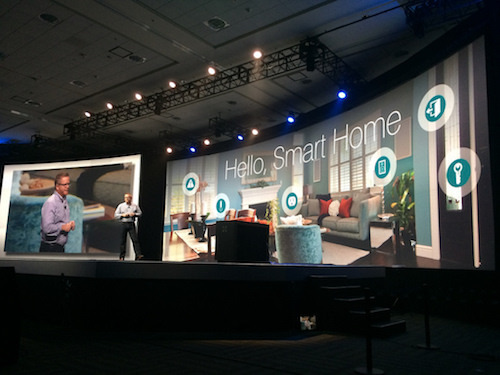 But, to get started on “smartifying” your own home, you’ll need smart devices. And there are many, and they’ve very versatile. And without experience, you may stumble in the dark and pick items that aren’t really that good. What you need is to educate yourself about the available smart devices and their features and characteristics. So, if you’re looking to modernize your home with smart devices, this is where you start. Our little article will present you with some of the best and neatest devices that will take your home-owning experience to a whole new level. Among the items on our list, you’ll find a thermostat, ambient lighting, and a smart speaker. However, the prevalent theme here is - the Alexa-controlled devices. So, without further ado, let’s dive in, and see what wondrous gifts we have for you. Statistics say that over 70% wars at home start because of the thermostat. Okay, that statistic might be bogus, but both you and we know that that figure seems about right. So, how do you remove that divide in your home? Why not try a smart thermostat. 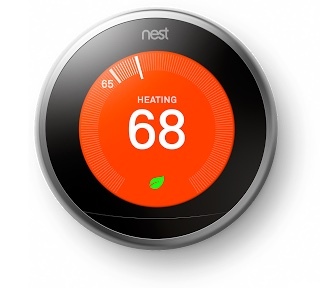 Let us introduce Nest Learning Thermostat. Nest thermostat is a fully automatized device that will not only control the temperature in your home but will also conserve as much energy as it can. With the electricity bill being the biggest problem in many households, you will certainly appreciate to cut it down even a little bit. But, if you go with Nest, you can be sure that this little thing will work wonders. Nest has been tested and proven to cut the heating bill by as much as 12%, and the cooling bill but 15%. With that, this $250 device will pay for itself in the first two years. But, we also said that the theme of this article are smart devices. So, how does Nest fit into that picture? Easily, actually. The device can connect to the internet via Wi-Fi, and you can use your smartphone to control it. Not only that but, as long as you have an internet connection, you can access the device and tamper with it remotely. Nest also senses when you’re coming home, and can turn up the heat to a preset value. But here comes the best part. The device can also be controlled with Alexa. If you have the appropriate app for both the Alexa and Nest and a device that can relay the commands into the thermostat, you can freely use your voice to control Nest. The device is also able to form algorithms based on your habits, and adjust to your daily routine, and turn off when you go out and on when you come back home. Naturally, such a device would be a little difficult to install, and you’ll need professional help, right? Wrong. Nest Learning Thermostat doesn’t require any complex installation operations, and you won’t have to call in the cavalry to set it up for you. The nest can be easily set up within not more than half an hour, but, in the case you don’t manage, you can call their 24/7 hotline, and they’ll take you through the process of installation, and troubleshoot the problems. Sometimes a special event warrants special ambiance and what better way to achieve this ambiance with some ambient lighting. Philips Hue Ambiance Light System is a second-generation lighting system, improved and more immersive. Hue is a smart device and can connect to the home network and can be controlled with all your smart devices, from anywhere in the world. So, what’s the difference between second gen and first gen? The first difference is the number of lumens. Second Gen hue delivers up to 800 lumens, against 600 lumens of the first gen. This means that the lights are brighter and livelier than ever before. But, being ambiance lights, there are bound to be some special features involved. Well, Hue is, as we said, one of the most immersive systems on the market. You can set the lights to respond to a great number of events; you can tone them down, turn them up or have them flicker like in the disco. That’s right – you can set the lights to adapt the rhythm of your music, creating a real disco-like experience. If this doesn’t liven up the party, nothing will. But you can go even further! The lights don’t just stop at music, but they can be set to respond to video games or sports events. You can set the lights to reflect the colors of your team, and, every time they score, you can have the lights display your team’s colors and flicker as you scream in joy. Now, a bit about the connectivity of this device. As we said, Philips Hue bulbs can be controlled with all of your smart devices. This means that you will have to connect the lights to your home network. To this effect, you will receive a bridge that will provide this connection. The bridge powers up automatically when you install it (a venture that won’t take more than 15 minutes), and it immediately connects to your home network. Now, to be able to control the device, you will have to download one of 450+ third party apps for the lights (all of them tried and true), and you’re all set. Now, wherever there is the internet, you can access your bridge and lighting, and turn the lights on or off, or set them up remotely. Lastly, again as we mentioned, this is an Alexa-themed article, and many of these devices can be voice controlled by Alexa. Just like before, if you have the bridge installed, and if you have an Alexa input device, you can go completely hands-free, and manipulate the lights by voice commands. This is largely helpful if you have your hands full, and can’t reach for your phone (say, you’re doing laundry, and you’re carrying the basket in your hands) – you can simply tell Alexa to turn on the lights in whichever part of the house, and your command will be immediately completed. You can also use Alexa to turn down the lights, or set up any of those cool effects we mentioned earlier in the review. Spot number three is actually a 2-in-1. Controlling your music as well as your smart home has never been easier with Echo and Echo Dot. These two splendid devices are Alexa’s ears and the central hub of your smart home, a place where you issue commands, and from which they’ll relay the commands to other devices. Other than serving as control hubs, these two devices are actually voice-controlled speakers which in fact comes as their primary function. So, what makes these two so special? Firstly, it’s their small size that makes them so special. Echo (the tall one) is a small and inconspicuous cylinder that fits any space, no matter how limited. Dot is even smaller, being the relative size of a cream container. So small, you can put the anywhere in your home and won’t get in the way. But, the question now is, can they hear you, and will you be able to heat them? Most certainly so. Both the Echo and the Dot are specially made to provide high-quality, 360-degree sound. They are quite loud, and you will certainly be able to hear them across the room. Echo, for one, features twin downward-firing speakers that deliver stunning omnidirectional audio. Dot is a little less powerful, but still loud enough for you to hear it. These speakers also serve as microphones, and both Echo and Echo Dot can hear you from across the room. Thanks to the special beam forming technology and the seven excellent speakers strategically placed on around the devices, the two can hear perfectly, even if you’re blasting music. What can these two do? We already said that they can control other smart devices and play music. But, the fun doesn’t stop there. You can also have them read the news to you, or you can make a call. You can play the music from iTunes, iHeartRadio, TuneIn and other such services. 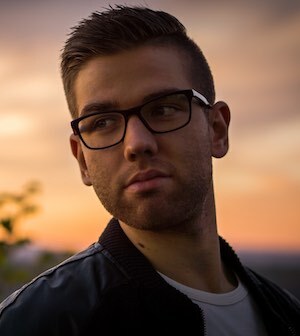 You can also search the music according to a specific artist, or to a specific genre. Not only that, but if you don’t know the name of the song, but you can sing it, you can sing it to Echos, and they will find it for you. But the most impressive feature of Echos, or, rather, Alexa, is that they’re (she’s) constantly learning. Alexa’s brain is inside the cloud, and she’s constantly observing your patterns. She is trying to learn your speech habits, the way you use your vocabulary, your pronunciation, and your speech patterns. In essence, the more you use Echos, and the more you talk to Alexa, the more she’ll be in tune with your habits and wants. All in all, the Echos are two marvelous little devices that will really bring your home to life. Home automation is happening at an increased rate, Amazon Echo and Echo Dot are right smack in the middle of it. Smart homes are evolving, and some of them have eyes. No, not literal eyes, but what they do have is video surveillance capability. And, in this case, inside the very doorbell. Ring Video Doorbell Pro is one such doorbell – thanks to this superb little item, you will never be away, and your guests will always find you home. So, what makes this doorbell so amazing? Well, for starters, we said that it can provide video surveillance. And indeed, this doorbell is, in fact, a tiny camera capable of filming in 1080p. This is an excellent addition, as you can not only hear but see someone coming. Whether friend or foe, you’ll be able to see who is it and what they’re doing at your door. Not only that, but the camera is connected to cloud, and everything you film will be placed there, so you can later download it and check the footage out. Or course, this is a smart device, but smart devices can be deceived. The device features a motion detector, but motion detectors can be very sensitive and can trigger due to simple traffic. However, Ring doorbell has been installed with a special sensor that has the capability to ignore the traffic and other distractions and focus solely on people. This is also very useful for the reason we explained above – you can see exactly who’s coming. The doorbell will send an alert the moment the sensor picks up movement directly to your phone. It will also start filming the event. The device also has a night vision installed, so you can film at night. Being a smart device, it is no wonder that this device comes with an accompanying app. This app will not only allow you to be alerted, and view videos already filmed, but you can use it to communicate with the visitors. 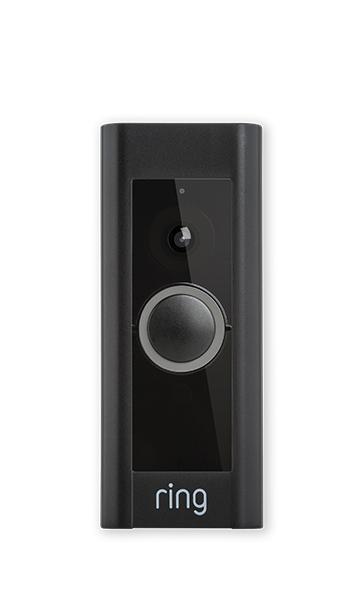 The doorbell has an installed intercom (high-end too) which will enable you to talk to the people at your door. Needless to say, you will also be able to check the device from anywhere, as long as you have the internet connection. The device can be accessed from all devices that have a connection to the internet, which means your phone, tablet or your computer. Lastly, a bit about the technical aspects of the device. Such a high-tech device usually requires special treatment and professional installation. However, Ring Video Doorbell doesn’t require anything – it can be installed easily by yourself. You are also offered four different faceplates so you can adjust the device to your own door. Overall, this is a superb device that any smart home should have. It is a miniature security system, fast, accurate and reliable. It is your first line of defense, your very eye. Now you can feel like a real badass, watching people come and go, and you can play a few pranks on your friends with it too! Our fifth product is yet another thermostat. Ecobee3 is a worthy adversary to Neat and a great alternative. This device is just as versatile as Neat and just as good at keeping those bills down. Both devices are just as good, and just as smart, being able to connect to a wide range of devices, and, of course, Alexa. So, what does Ecobee3 has for you? Firstly, this is a smart thermostat. And we don’t mean just the ability to connect to other devices. By this, we mean that the thermostat has the ability to sense if you’re in a room or not, and has the ability to adjust the temperature in individual rooms. Usually, a thermostat reads the temperature of the room it’s been placed in. But with Ecobee3, this is not the case. The device can calculate the temperature in every room, and then adjust the heating (or cooling) accordingly. We also said that it can sense if you’re in the room or not. The thermostat can prioritize the rooms, and, if you’re in your living room, watching TV, it will divert the energy to heating the room that’s being occupied, while relegating an empty room. The thermostat comes with one free sensor, but you can also have up to 32 sensors at any one time, all working together to map out your movements and redirect the energy where it is needed. All of this will make a significant impact on your heating bill, and it can reduce it by as much as 23 percent, making it even more effective than Nest. Needless to say, you can adjust the temperature yourself. The device has a nice and wide touchscreen. However, if you want to operate it remotely, you can. You just need the appropriate app, and you can download it on your smartphone, after which you’ll have to pair your device with the thermostat. 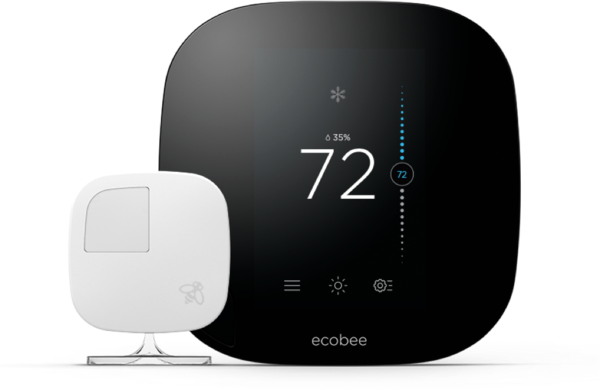 Just like the Nest, Ecobee3 connects to your Wi-Fi, and you can access the thermostat from anywhere outside your house, as long as you have the connection. Naturally, you can pair the thermostat up with Alexa. If you have one of the Echos, you can pair them up and issue the commands by voice. You only need say the wake-up word “Alexa” and you’re in business. The thermostat can also be controlled by Siri. Lastly, how much time will you have to put into installing this device? Well, a little more than what you’d invest in installing Nest. The Ecobee3 thermostat will take you about 45 minutes to set up, by yourself. The installation in itself is very simple, so you won’t have to call in the pros. Overall, this is another in the line of splendid smart devices we have for you. Ecobee3 is very easy to use and accommodating, and very smart, especially because of the fact that it can track your movement around the house. Either way, whether you choose Nest or Ecobee3, you won’t be disappointed in either. We’re talking about a smart home here, but, what about the devices that aren’t “smart”. What about the lamps you already have in your home, what about your dishwasher, your hair iron, and stuff like that? Is there a way to make them come to life too? The answer – yes, yes you can. And very easily, too, with a simple plug. 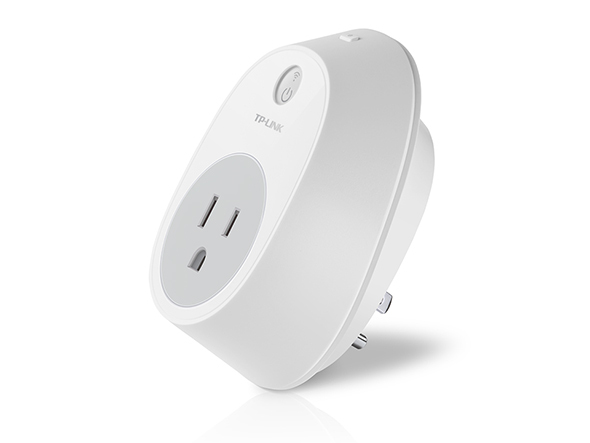 Allow us to introduce TP-Ling Smart Plug. This little device will make any and all appliances you use just as smart as Ecobee3 or the Philips lights. How does it work? Well, for starters, this is a standard plug. You need to plug it into an outlet, and then plug the device you want to “smartify” in. From then on, it’s a breeze. The HS100 connects to your home network, and, from there, it is available to anyone with the appropriate app. It should also be noted that the single app can control any number of plugs – you just need to link them up, and they’re ready. What can you do with the plug? Naturally, the first thing that comes to mind is remotely turning things on and off. However, it doesn’t stop there, and the device can do much more. With HS100 you can now set a schedule for the devices. Need coffee in the morning? Plug the coffeemaker into the HS100, enter the app, and set the time at which you want the device to turn on. You can also set an auto-off schedule. This is very useful for things like the clothes iron, which can be very dangerous when forgotten. Now, you can allow yourself the luxury of forgetting the darn thing, because you can set it to turn off after some time of it not being used. Lastly, you gain a much better control of the daily routine. With the plug and the schedule function, you can set the lights to turn on in the morning and help you separate yourself from the bed. Of course, being a remote controlled device, you can also access it even when you’re not home. As long as you have a connection to the internet, you can control the device. Not only that, but you can track the device’s status, and see what’s running and what’s not. Of course, you can turn those appliances on or off, which is of great help when you’re planning your day, for example, if you need to start lunch and you’re coming home from work. All in all, the TP-Ling HS100 Smart Plug is a great step toward making your home as smart as possible. The device’s ability to make any appliance remotely manageable makes it very useful and makes planning ahead very easy, and natural. And, like we said, you can finally breathe a sigh of relief about leaving a stove or a clothes iron on. Our next product is another special light bulb. 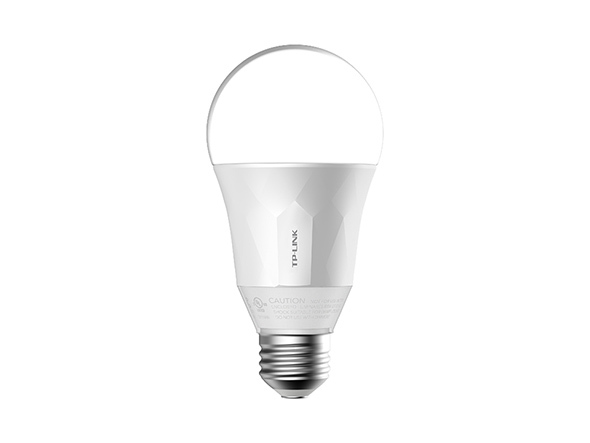 Maybe not as bright (600 lumens vs. 800 lumens) or as colorful as the Philips Hue bulbs, TP-Link Smart Bulb is still a good choice if a bit of atmosphere is required. The bulb can be connected to your smart devices, and, using them, you can turn the lights on or off, or turn the down or schedule them to turn at specific times. So, what makes this bulb unique? Firstly, the price. This is one of the most affordable such devices on the market. At only $20 a piece, you can equip your home with a bunch of them. Each and every bulb can be controlled from a single device. All you need is the Kasa app. There, every time you introduce a new bulb into your home, you will need to get load it up into the app, and you can take full control over it. What can be done with this bulb? The usual. You can turn the lights down, or you can schedule when will they turn on. The bulb has a very wide range of lighting options, and you will be able to adjust the lighting to any situation. The lights have a sensor too that will allow them to sense the sunset or sunrise, and they can be set up to act accordingly. Not only that, but the adjustment is entirely automatic, and you don’t have to manually set up the device. Lastly, and expectedly, the bulb can be paired up with Alexa. Using one of the Echos, you can use Alexa to go entirely go hands-free and control your lights without using anything. 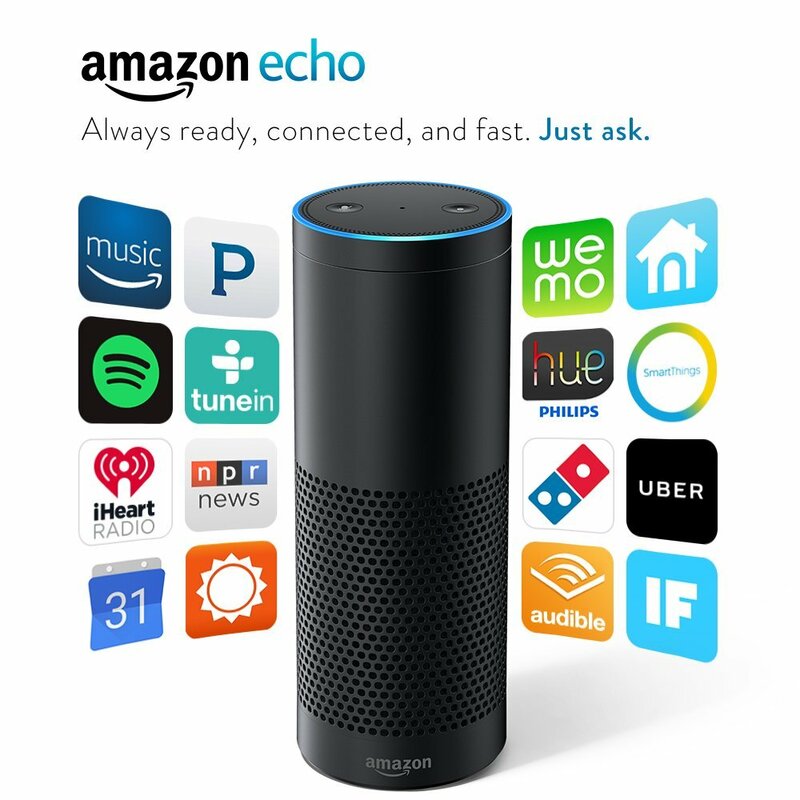 Echos, being very alert devices, will always hear your commands, and respond to them promptly. Overall, the LB100 is a splendid little bulb. It can do almost everything Philips Hue can, except change colors. It can be remote controlled, even when you’re not at home. It pairs up with Alexa perfectly, so you can bet that you can go completely hands-free. Lastly, these bulbs are quite cheap, and you can garnish your entire home with them without breaking your wallet. Our penultimate item is yet another 2-in-1. This time, we bring you a combo of cams intended to provide non-stop surveillance. 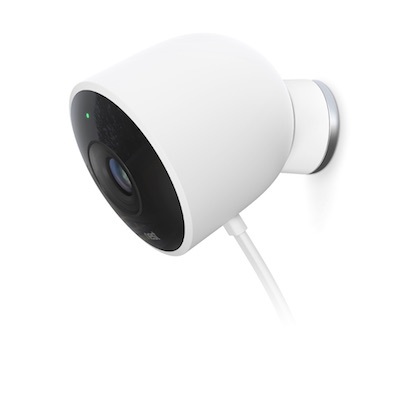 If Ring doorbell isn’t enough for you, you have the Nest Outdoor cam to keep an eye out for things, and you have the Nest Indoor camera to keep an eye out on the interior of your home. Either way, these two cams operate on the same principle and are more or less the same, so we’ll treat them as a single product. So, let’s start with describing the most important features. Like we said, these little cameras provide a 24/7 type security. Neither of the cameras has any batteries, and they will stay one for as long as it takes. The cameras provide a constant video feed, and a high quality one, and you can check the status of the cameras at any time, from any location. These devices connect to your home network too, and they have a secure live stream, and you will be able to watch the live stream as long as you have a connection to the internet. Not only that but, with the accompanying app, you will get a warning whenever the camera senses somebody passing. At this point, you will receive an alert and an attached e-mail with the photo of the event. But, what if you want to preview what happened earlier in the day. Well, you can do that too, thanks to the fact that the cameras are connected to cloud, and you will be able to store 10 to 30 days of actual footage, download then preview it. Like we said, these cameras capture very high-quality video. Both Nest Indoor and Outdoor capture 1080p video, and they can capture it all day and all night long, thanks to the night vision that’s been installed. In addition, the Outdoor cam has been fitted with impact-resistant glass that would stop the device from being smashed or otherwise damaged and is weather resistant and waterproof. Also, Outdoor cam has a suction cup that can attach to any surface, and won’t come off. The indoor camera uses a flexible magnetic stand. Both cameras have a very wide viewing angle, rated to 130 degrees. Both camera types are fitted with a two-way intercom, which might prove a very useful tool in the case of a home invasion because you can let the intruder know you’re watching. In the end, both of the cameras are very good additions to your smart home. They’re restless watchers of the sky, and they work tirelessly to keep you and your family safe. 24/7 surveillance with the addition of 10-30 days cloud storage allows you not only see what’s going on at every moment but also check and recheck the events that took place for a month. Either way, if you intend to install surveillance in your home, then you should definitely check out these awesome Nest cams. Our last item for today might just be the most interesting one. Pet owners know well the pain of leaving their little fluff ball behind. Worse, you will probably have to pester one of your friends to take care of your pet while you’re away. But, that just might be a thing of the past. What if we told you there is a product that will let you stay in touch with your pet at all times? Well, let us introduce Petcube Play. This little cube is your bridge connecting you and your pet at all times even when you’re away. It doesn’t matter if you’re in the office, in the corner shop getting a magazine or half a world away, with Petcube Play, you’ll never be away. Petcube has started as a Kickstarter campaign, and, boy, did they create something special. Within weeks, this splendid little item amassed almost $320.000. So Petcube came to be. But, what is it, exactly? Well… It’s a cube, but a cube that has amounted camera and two-way intercom. This little cube connects to your home network, and operates on a principle similar to Skype – you can see what your pet’s doing, and you can talk to it. The cube is similar to Nest cams, and it too films during the entire day, providing a 24/7 account of your pet. Not only that, but you can also save the video to a cloud, again within a period of 10-30 days. This video can be then downloaded and previewed at will. The device can also be set to pick up the movement of your pet, for security reasons. But Petcube is more than a surveillance system for your pet. Using this device, you can play with your animal too. Not only can you talk to it, you can also play laser tag with it. The device can emit a harmless laser, and you can control the laser on your smart device by simply swiping your finger across the screen. You can even schedule an auto-play feature, where the device will play laser tag with your pet on its own at a designated time. 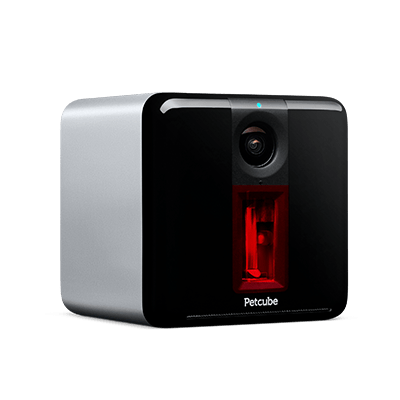 Is Petcube a hustle to install? Not at all. This device doesn’t require anything a Nest cam wouldn’t. The device only needs you to plug it into an outlet, and that’s it, you’re good to go. You can also purchase and place it on a tripod. Lastly, since pets can get wily, they might try to overwhelm Petcube with their playfulness. But, be at ease – Petcube is entirely impact-resistant, so your pet won’t damage it if they tip it over from the table. Not only that, but the cord is made chew-proof, which not only serves to extend the device’s service life but protects your pet from the dangers of naked electrical wires and getting electrocuted. When all is said and done, this is one device that no pet owner should ignore. Now you won’t have to worry about what does your pet do all day when you’re not at home, and you can keep a closer eye on it. No more coming home to a mess because your dog was lonely and had no one to play with. With Petcube, you are always by your fluff ball’s side. Finally, we hit the bottom of the article. Now, we’re only left to wrap the article up and send you on your merry way with all these wonderful new toys. But, for all those who didn’t have the time and/or the patience to go through all of the things we said, let’s sum up the gist of the article and do a quick rundown of the items on our list. As we wrote in the introduction, home automation is a thing, and it’s getting bigger very fast. More and more items are being invented that would provide you with a more comfortable lifestyle and a more controlled environment. The days where those lights that came on when you would clap your hands were reserved only for the wealthy are coming to an end. Right now, thanks to Alexa, you can voice control pretty much everything in your home. The only thing you need is an Amazon Echo or Echo Dot smart speakers. With these two, you can control, for example, your thermostat. Both Nest Learning Thermostat and Ecobee3 have the option to connect to the Alexa app, giving you the opportunity to go full hands-free. Not only that, but these two will save considerably on your heating bill. 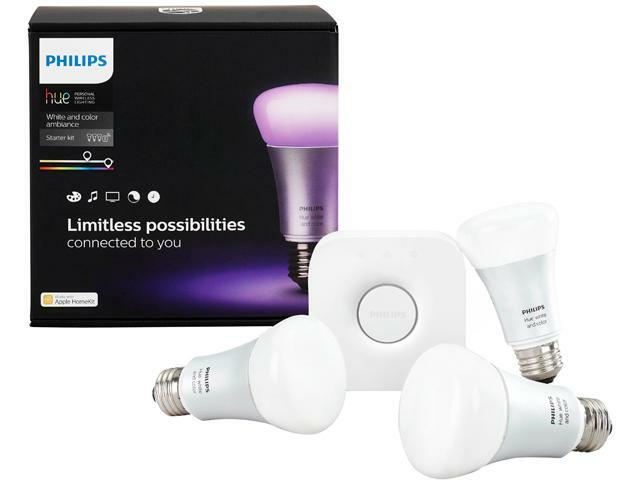 Secondly, there are TP-Link and Philips smart bulbs. If a little ambiance is what you’re after, these two should be your fist choices. Both can pair up with your phone and you can control them even if you’re not at home. Needless to say, you can use Alexa to set the mood for you too. For everything else, there is the TP-Link Smart Plug. With this plug, you’ll be able to “smartify” any other appliance. Lights, coffeemakers, stoves, dishwashers, with TP-Link, you ca bring them all under the wings of your smart device and Alexa. Lastly, there we have cams. A smart home needs smart security, and this is where both Ring Video Doorbell, Nest Indoor/Outdoor cams, and Petcube Play cam come in. All of these devices can shoot high-quality video and alert you if there are events that you should take note of. With the last item, the Petcube, you can also play with your pet. And that’s it. Own just one of these, and you’ve already made a step into the glorious automated future. We hope you had a fun ride with us today here and that you’ve learned something new about these jolly devices. If you’re up for it, feel free to leave a comment or hit that share button; after all, it is your feedback that fuels our passion for writing. Rock on folks, and thanks for your attention!